In 2013, Blackthorn Ecology completed a project to record, communicate and enhance the wildlife of seven towns and villages in Offaly. We carried out detailed winter, spring and summer surveys of bryophytes, lichens, higher plants, terrestrial and freshwater invertebrates, fish, birds and bats. Habitat maps of local communities were prepared using GIS. 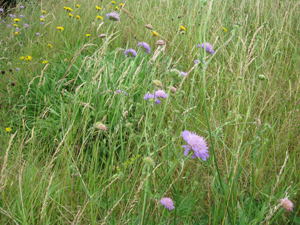 In combination with existing records and habitat mapping, this information was used to inform local Tidy Towns groups on the biodiversity within their local areas. Community engagement and involvement was a central part of the project. 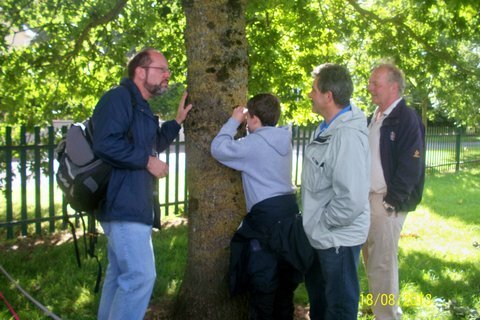 A series of nature walks was held in each town during Heritage Week in August 2013. In cooperation with the local communities, draft five-year biodiversity management plans were developed to conserve and enhance biodiversity in local hotspots. The plans include ways in which to develop the natural amenity and educational potential for each town’s wildlife. In 2013, Blackthorn Ecology carried out a specialist survey of woodlands and surrounding scrub, heath and blanket bog habitats in the valley of the Toon River in west Cork. The National Parks and Wildlife Service commissioned the survey to gather detailed data about the site and to establish appropriate boundaries for a proposed Natural Heritage Area. A total of 113 ha of woodlands and scrub were mapped in the field. As the site was quite heterogeneous in terms of topography, soils and hydrology, eight different native woodland types were mapped according to the National Survey of Native Woodlands classification. Young woodland, conifer plantation and gorse scrub were mapped as well as blanket bog, flush, heath and grassland. 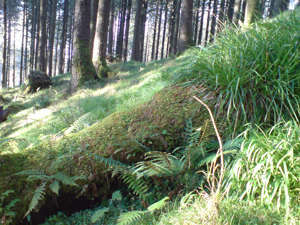 The conservation value of the different woodland types and blocks and unwooded habitats was assessed. 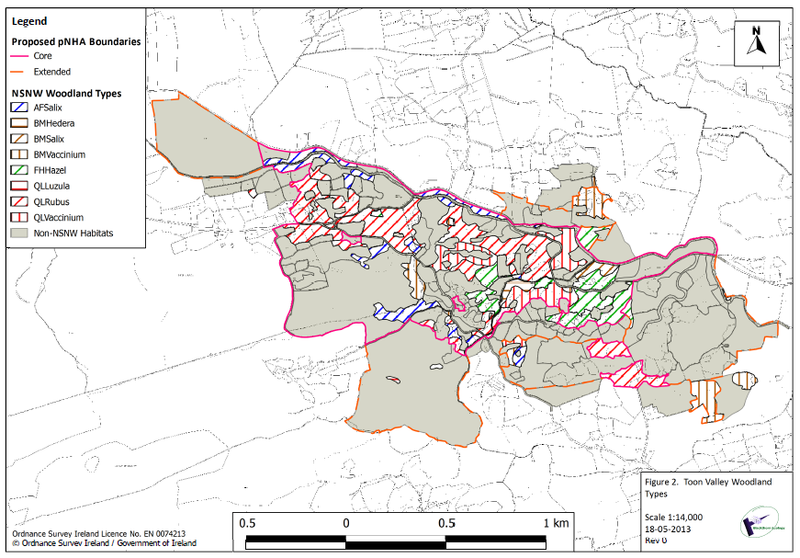 Proposed NHA boundaries were presented as a minimal “core” boundary, focused on the most valuable native woodland types and natural transitions to open upland habitats, and several “extended” boundary options to take in other habitats of secondary value. A concise report was prepared detailing the survey and results, accompanied by maps and a GIS database. 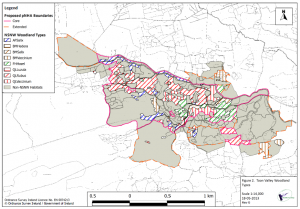 Dr Smith was project manager and lead ecologist for environmental assessments, including ecological, landscape and noise impact assessments, for three local relief or access roads in Co. Cavan: Ballyconnell, Bailieborough and Cavan town. The proposed routes each presented their own unique ecological features and challenges. 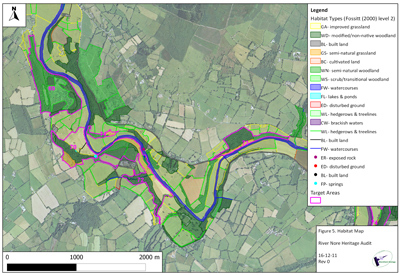 For example, the Ballyconnell relief road crossed a major river and had the potential to fragment populations of otter, waterfowl and bats along the river corridor. The Cavan East Access Route crossed through an interdrumlin wetland complex, including a series of breeding ponds used by the protected smooth newt. Dr Smith advised on changes to design and mitigation measures in close consultation with design engineers to avoid, minimise or compensate for significant impacts. 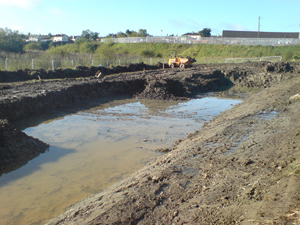 Measures included mammal fencing and underpasses, creation of a compensatory pond and wetland complex, and translocation of smooth newt and common frog under NPWS license. Monitoring is ongoing, and surveys have confirmed the presence of breeding newts in their new home.